Dual Fuel Capability Transform your FirePit into a Hibachi-style grill with the included grate. Grill Surface Measures 18 x 7.25"
Everyone I know loves this thing. 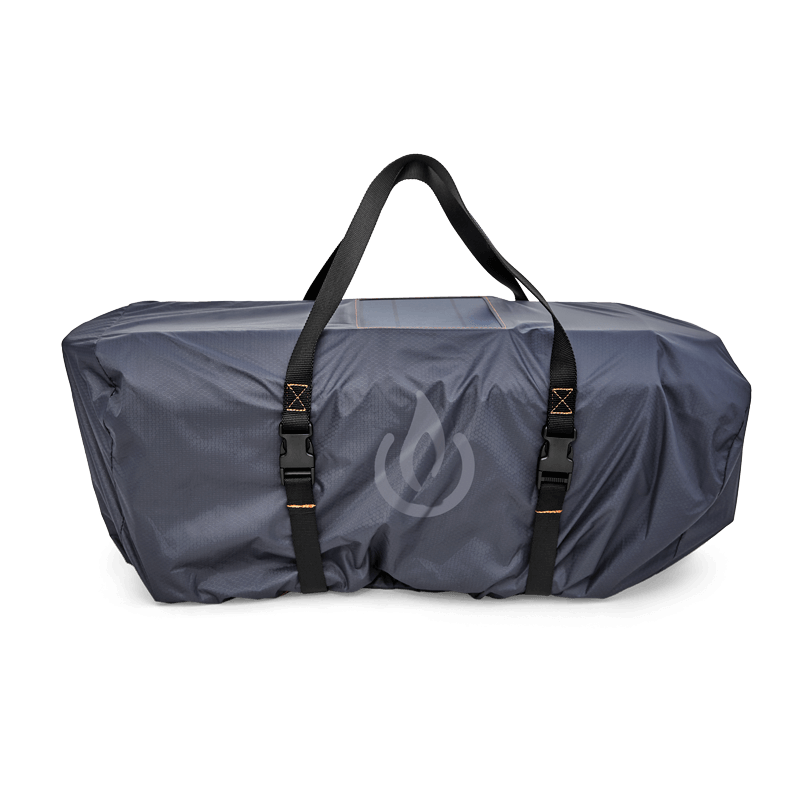 It's easy to tote around, creates delicious flavors in meat and veggies and keeps you warm while not using up a crazy amount of wood. Everything is well-thought-out and well-made. For example, the top rack slides off to one side, so you can baste your food without getting too hot, but the rack has a stopper so it doesn't fall off. The fan lasts a long time and the phone app makes it easy to turn off remotely. We purchased on Kickstarter and have used it on several camp trips so far. 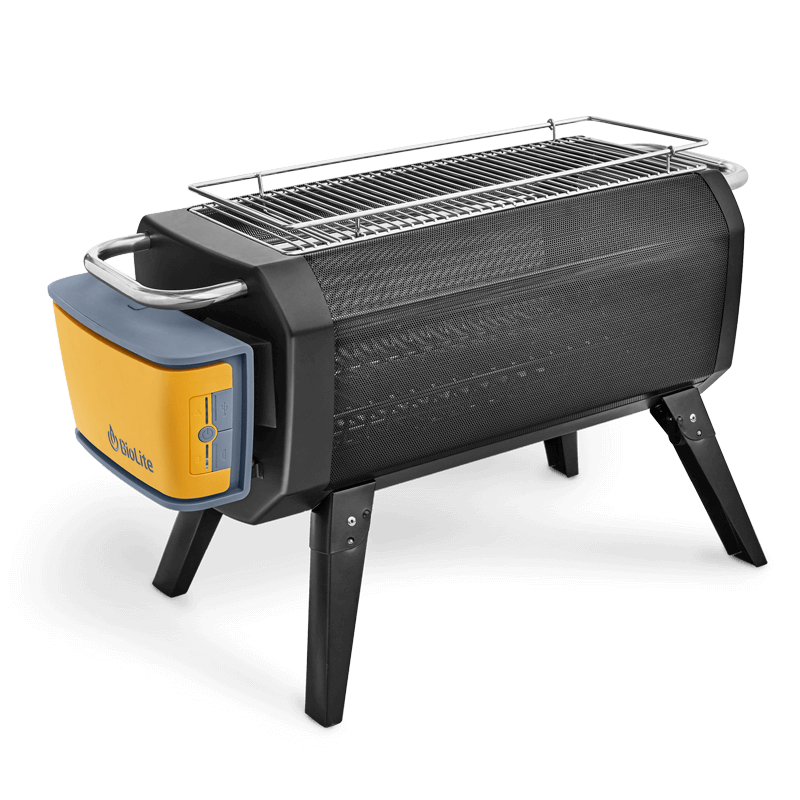 Works really, really well as a bbq grill, and love that after dinner we can easily use the coals to start our camp fire. The no smoke is legit. I love campfires. At least, I thought I loved them. I was instantly hooked because they promised to fix the only thing I didn't like about a campfire - the smoke. I've used this about a half dozen times so far. I have to say that I don't want to go back to an open pit campfire again. Great for cooking. I've used my FirePit twice now. Both times for cooking. The fans make a huge difference in how long it takes the charcoal to ash over and be ready for cooking. Easily cuts the time in half if not more.